The Galway Dog Training Club was founded by Michael OBrien in 2000. 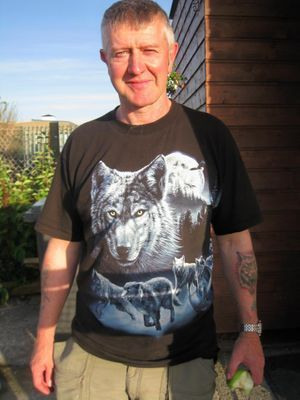 Michael, a native of Galway, has a wealth of experience in training dogs. Having competed in most dog sports at competition level over the years, he has also trained numerous dogs for TV and film. Michael is the current Training Director & Co-Ordinator for the Galway Dog Club, and is also available for private training. Best prices on training equipment. We are currently in the process of introducing a member’s card, which, if successful, will entitle members to discounted rates in participating vet practices and shops. In the near future we intend to visit various boarding kennels around Galway, rating each and hopefully providing a discount for club members. The Galway Dog Training Club was founded in 2000, and has been training in various public fields, car parks and pitches all over the city. As you can imagine, having no fixed abode made training difficult, hauling equipment, organising meetings, finding vacant venues, finding storage for the equipment etc. Nevertheless the club had its share of success. On the show scene two of our members, Chris Gannon and Sam Walsh, achieved the highest award of Irish Champion I.K.C. with their Dobermans. On the Working side of things, Mary Grogan has won many first prizes with her collie, Cola, and acquired a BH Degree with her german shepherd, Lara. Dr. Gerard Fleming has been cleaning up on both the I.S.A. and I.K.C. show scenes with his spaniels. His springer spaniel, Kramer, has three reserve green stars and reserve C.A.C.I.B. Gerard also has a BH Degree with his german shepherd dog, Quando. Michael O’ Brien has been competing in most aspects of dog sport over the years, and has had a lot of success with various dogs, most notably his german shepherd Reno. Reno has won in I.K.C. obedience, agility and qualified CDex in his first attempt. He had represented Ireland in two British Nationals, and the World Championship in Holland in 2004. In response to all the bad publicity regarding dangerous dogs, Michael O’ Brien and Dr. Gerard Fleming met with Tom Herron, Director of Services with Galway City Council, and Stephen Walsh from Parks. Both Tom and Stephen recognised the benefits the club had to offer, and backed the proposals made to the Council. Michael & Gerard presented a Power Point presentation to Council Members and the Terryland Parks Committee. The project was endorsed unanimously. A small piece of land was sourced in the Terryland Park area. The work was undertaken by Johnny Gannon. Michael met with Johnny and his right hand man, Sean Monaghan, and a plan for the ground was formulated. Several months later the work was complete. And what a job! The results were truly amazing. Our grounds now have secure containers, one for storing equipment and one for holding meetings and seminars. We have floodlights to enable night time training, running water and toilet facilities. Our sincere thanks to all involved: The Galway City Council and Counsellors, in particular Cllr. Michael Crowe and Cllr. Catherine Connolly. To Tom Hernon and Stephen Walsh. Johnny Gannon and his team. And last, but not least, the club members for their hard work painting, cleaning, cutting grass etc. This is their club. The FutureWe now have a fantastic ground. We hold training seminars, competitions, social events, information days, dog shows and competitive trials open to all of Ireland. In addition we run short courses for Responsible Ownership, Puppy Classes and Socialisation Classes. The provision of this ground by the council has provided the club with a facility that we can utilise to educate people, young and old, on responsible ownership of your dog, thus enhancing the relationship between dog owners and the general public. This club, and the provision of the grounds by the council, is the first of it’s kind in Ireland.